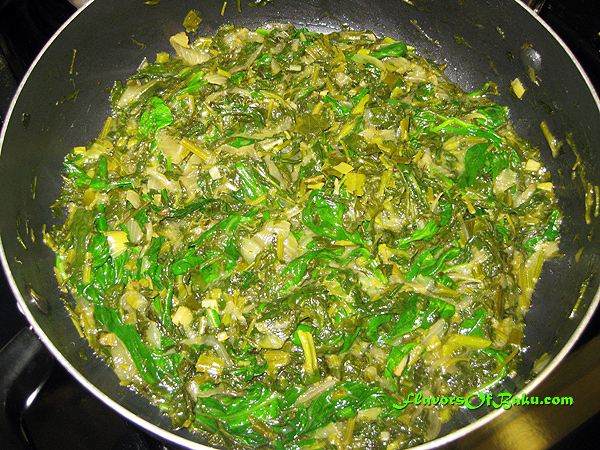 KHAYLE or Gayle (accent on the last syllable) is a delicate vegetarian dish of Mountain Jew cuisine, made of herbs, onion and eggs. 1. 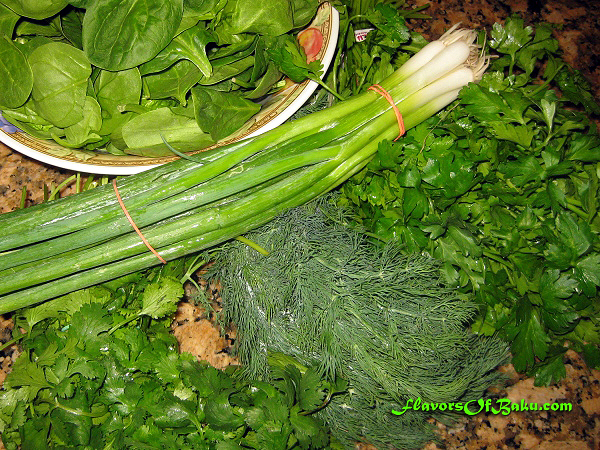 Wash all the herbs and pat them dry with a towel to remove all water before cooking, and chop them. 2. Peel the onion, cut it in half, and slice into thin half-rings. 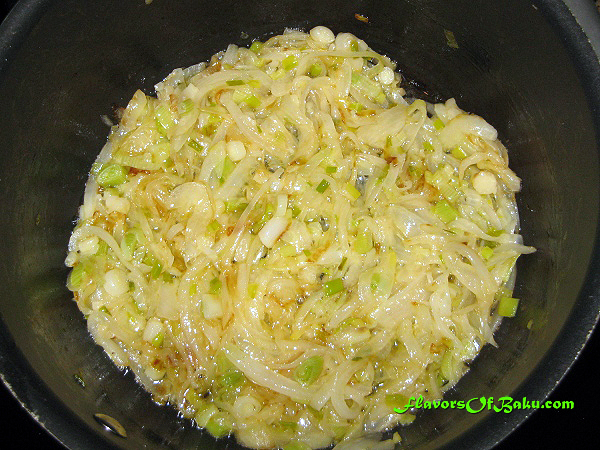 Add butter into a pan, place the sliced onion and chopped white parts of the green onions, and fry over low heat until they are soft and lightly golden. 3. Add the herbs to the pan with the onions. 4. Simmer over low heat until the herbs soften and darken. 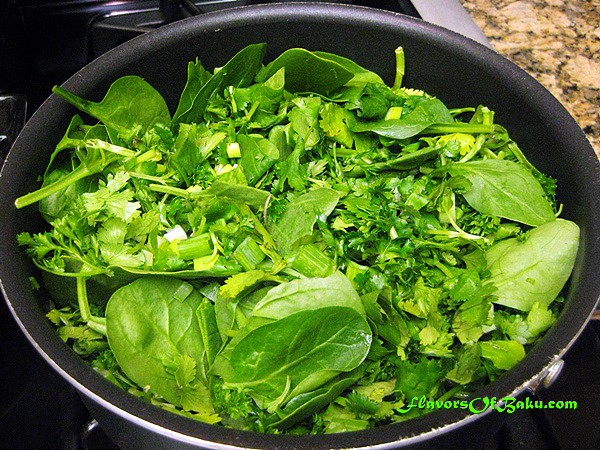 Add a little warm water if there is not enough juice released from the herbs. 5. 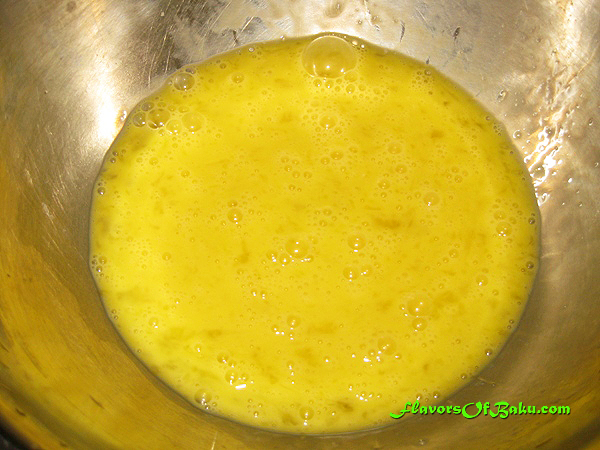 Whisk the eggs separately and add salt and pepper to your taste. 6. 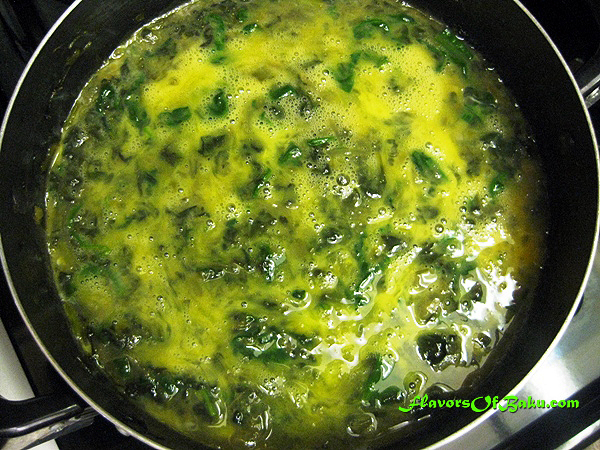 Pour eggs over the herbs-onion mixture. Lightly mix the ingredients right in the pan. 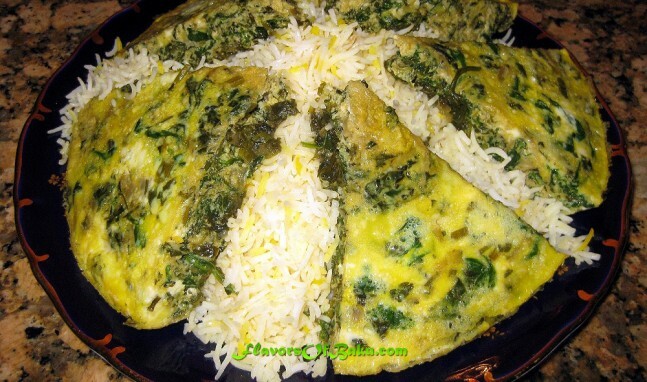 Cover the pan with a lid and continue cooking over low heat until the eggs cooked all the way through and have set. 7. 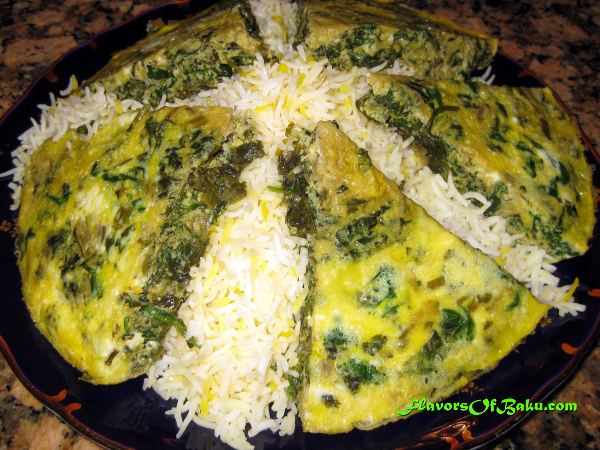 Cut Khayle into portion-sized pieces and serve warm with Osh. 1. Rinse the rice thoroughly in cold water several times until the water stays clear, to remove excess starch. 2. Fill a pot (or saucepan) with water, add salt, and bring it to a boil. Place the rice into the boiling water. Stir, lower the heat to medium, and let it cook for 10 minutes (cooking time is depending on the quality of your rice). Cooked rice should be soft on the outside and hard inside, but not raw and not overcooked. 3. Strain the rice using a colander, and rinse with a hot water, to wash out an extra salt. 4. Move the rice into a pot. 5. 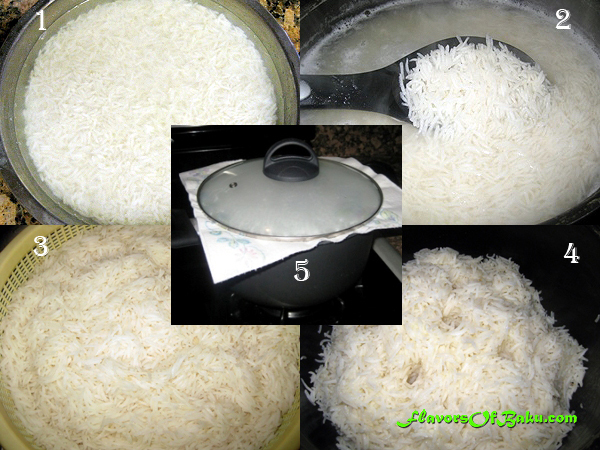 Wrap the lid of the pot in a tea towel and cover the rice. Cook over a very low heat for about 45-60 minutes. Put a heat diffuser or a pan under your pot to prevent burning.